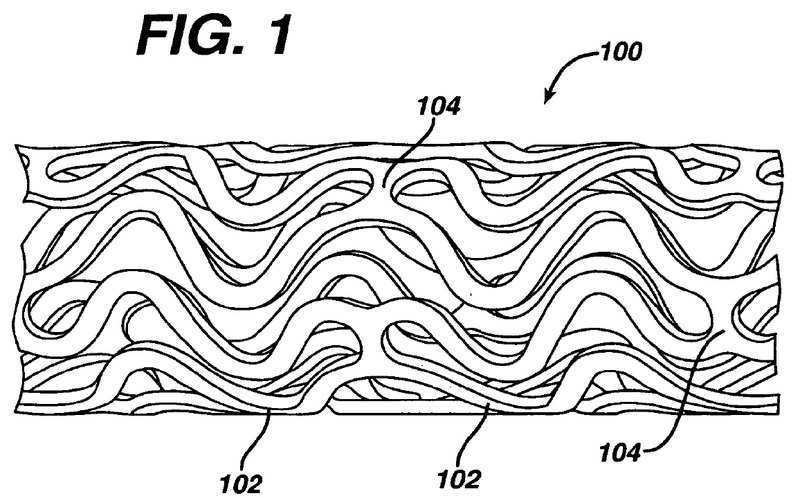 Patent attorneys are often grasping for words to describe openings, and a word to describe some with one or more openings is fenestrated (see U.S. Patent No. 8,506.984). U.S. Patent No. 8,506,904, shows a fenestrated portion of a device having a plurality of openings. When something is shaped like a string of beads, such as a beaded chain or an arrangelement of particles, the word moniliform is the perfect word to describe it. See, for example U.S. Patent No. 7,291,392. 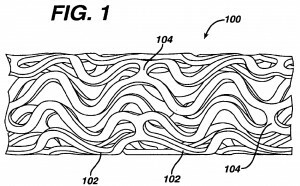 In fact when the string of beads configuraion forms long fibers or strands, you might have a moniliform fibriliform configuration, as was described in U.S. Patent No. 6,541,627. Describing and claiming complex shapes can be very challenging. An easy and effective method used by patent attorneys for years is to describe and claim a complex shape by analogy to a familiar shape. The letters of the alphabet are frequently used, from A-shaped to Z-shaped, every letter of the alphabet has been used to describe a shape in a patent. Patent attorneys have used every letter of the alphabet to describe and claim inventions. In a Patent, $2 Words Cost the Same as 2¢ Words, Which Should You Use? While there are more than one million English works, it has been estimated that the average high school graduate knows about 45,000 words, but actively uses between 12,000 and 20,000. With a million words to chose from, there likely is a perfect word to describe what you want to describe, but you may not know it, and more importantly your audience probalby does not know it. 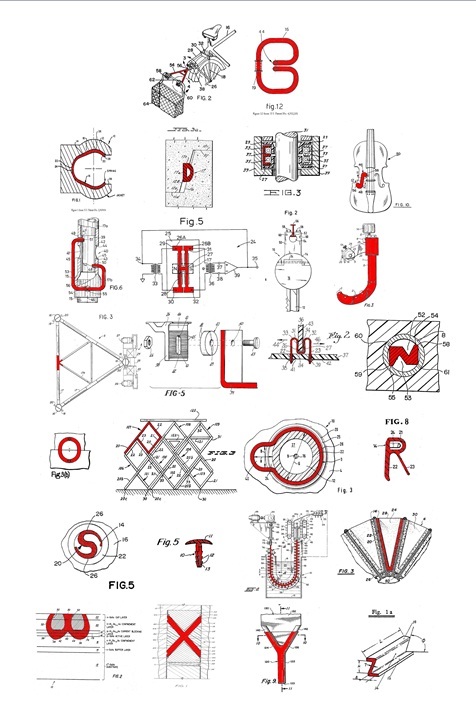 For example, if you are trying to describe something that is shaped like a cup, “cup-shaped” is the obvious, if mundane choice (made in more than 41,807 other patents), but you might also consider calathiform (see, e.g., U.S. Patent Nos. 4,359,965, and 4,457,260) or poculiform (see, e.g., U.S. Patent Nos. 8,008,099 and 8, 500,301). While an unusal word might be fun for patent drafter, is it good or bad for the patent owner? An unusual word can be an opportunity to make an invention sound more important or more complicated (any maybe less obvious?). It could make the priror art appear to be less relevant, and it also provides some alternative words to break out in the claims during prosecution. The simpler, more widely understood alternative is usually the best choice, but sometimes it may be worth breaking out the dictionary to find the perfect word to add lustre to the invention, and to your prose as well.